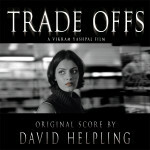 The introduction to the magical world of composer David Helpling. 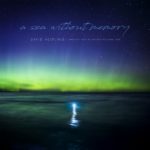 Original percussion, textural electric guitar and distinct keyboard melodies with rhythmic orchestrations, are all tastefully combined to define this superb work that ranges from driving and energetic passages to ambient and sublime atmospheres. "Flawless. This CD will dazzle you." Flawless. This CD will dazzle you. It's serene, moving and exciting. 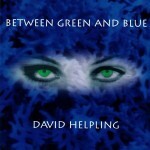 David Helpling has the ability to reach in and tap you emotionally. At times you will feel like you are passing through different levels of existence. Other times you will feel like you are in the jungle, a rain forest or on a mountain. This is potent music. 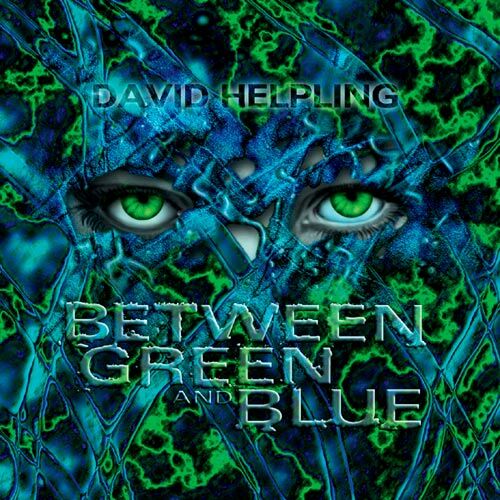 Helpling creates sound and musical texture that paints pictures. Some of his subject matter is; "Stormchaser," "Alone At The Shore," "Loss Of Words," The Blue Sun," "Emeralds" and "End Of An Era." Helpling does an impressive job of combining vocal chants, tribal drums, modern keyboard rhythms and piano to take us to a listening paradise. I honestly don't think there are too many people who wouldn't enjoy Between Green and Blue. It's music that carries the flame of heritage and the emotional blood that we all have. Since I received this CD, it has been one of the CDs I listen to the most. "Stellar stuff with a supurb mix"
David Helpling's music could be the soundtrack for a PBS Special with footage of panoramic desert vistas. Picture a combination of new age/dark ambient blended with Alan Parsons. It also strongly reminds me of Patrick O'Hearn's Private Music releases, with much of the same kind of dark introspection that propels his work. Using keyboards (as well as "ambient guitar") with Matthew Stewart contributing some tasty fretless basswork, helpling conjures percolating percussion parts overlaid with piano, synth ostinato and long, sweeping string-like synth passages. He tends to stay in this area compositionally, but brings such a detailed focus to his work with subtle changes in orchestration and voicing that it doesn't matter if the music always sounds "inspired." Standout cuts: "Loss Of Words," "The Blue Sun" (with its scintillating sample-and-hold like percussion), and "End Of An Era." Suffice to say if you like any one track, you'll enjoy the whole thing. Stellar stuff with a supurb mix. And of course, extra points for the spotted peccary on the keyboard logo - it's a slick pig, but worth the catch. "one of the best recordings of the year"
Futuristic, fantastic, yet simultaneously warm and organic, Helpling’s phenomenally robust and vibrant musical vision makes Between Green and Blue one of the best recordings of the year. This excellent release is a tribute to what brilliant artists can do in the privacy of their own living rooms. Don’t miss this jewel. 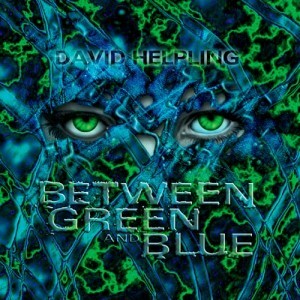 "one of the freshest albums to enter the instrumental scene this year"
After only one listening to "Between Green And Blue" by David Helpling, I realized both the musical creativity and the unlimited popular appeal in the album. "Between..." is one of the freshest albums to enter the instrumental scene this year. 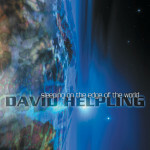 Helpling uses mostly keyboards, various percussion and bass to deliver a moody, sometimes brooding, yet beautiful album. One will recognize similarities to Patrick O'Hearn, but will later determine Helpling's very apparent individuality in this album. Programmers will have effort in selecting tracks pertinent for their shows. "Between Green and Blue" conjures an exploration into vast landscapes, the mind and space. "Worlds," "The Blue Sun," and "Emeralds" are my favorites, yet do not discount the other tracks. Helpling has created a consistent, friendly, intricate, and emotional array of soundtracks which will please any listener. One of my favorites of 1996. Deep Exile is the online home to the music of ambient-electronic recording artists David Helpling and Jon Jenkins. When you order from deepexile.com you directly support the artists and encourage them to continue to create and release their music. David and Jon are incredibly grateful for your support! © DeepExile.com - all rights reserved.